Since I looked at Mario’s power-ups last week, I thought this time I could examine the ones Yoshi uses. The thing is, this varies even more from one game to another. In Super Mario World, Yoshi has several powers he can use based on what color Koopa shells he eats, and Yoshis of other colors have those powers no matter what color shells they eat. Blue ones fly, red ones spit fireballs, and yellow ones pound the ground. 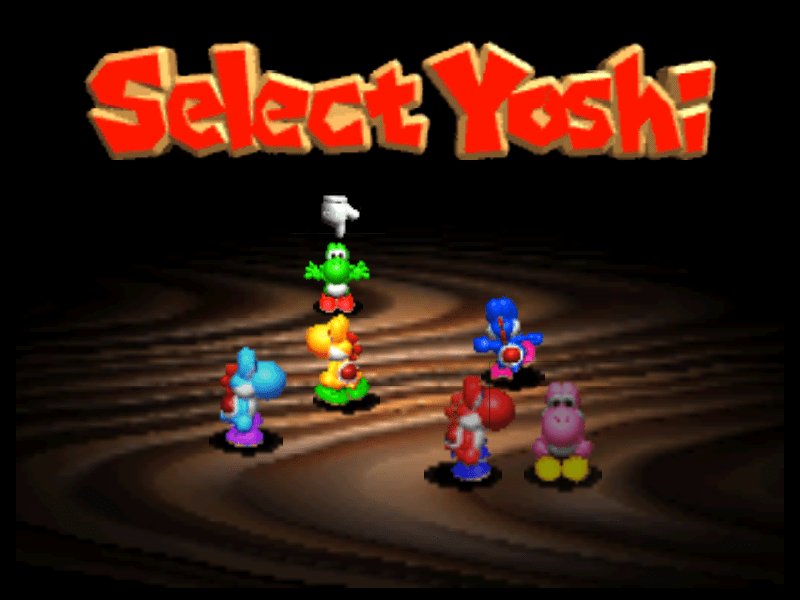 In later games, Yoshis come in even more colors, but there isn’t any difference in their abilities. That is, until Super Mario Sunshine, in which Yoshis change color according to what fruit they last ate, and they spit juice corresponding to their current color. This juice has somewhat different effects depending on the color. These Yoshis seem to be an unusual subspecies, however, as they dissolve in deep water and disappear when they run out of juice. Yoshi’s Island has Morph Bubbles that will transform Yoshis into different shapes: a car, a train, a helicopter, a submarine, and a tank that resembles a mole. 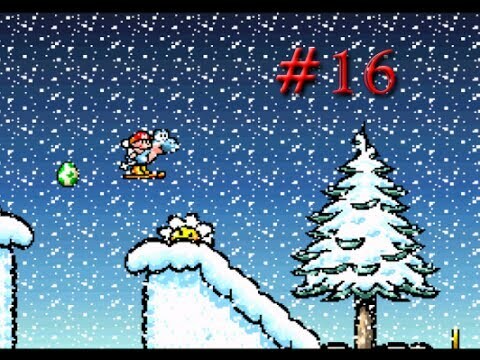 Another will give Yoshi skis, and while skiing he can turn into a snowball. These forms are necessary to get past certain parts of the game. In the game data are three more transformations that don’t appear in the finished product: a tree, a mushroom, and a plane. The plane might have been an alternate version of the helicopter, but I really don’t know what the others would have been used for. Would they even have been able to move? 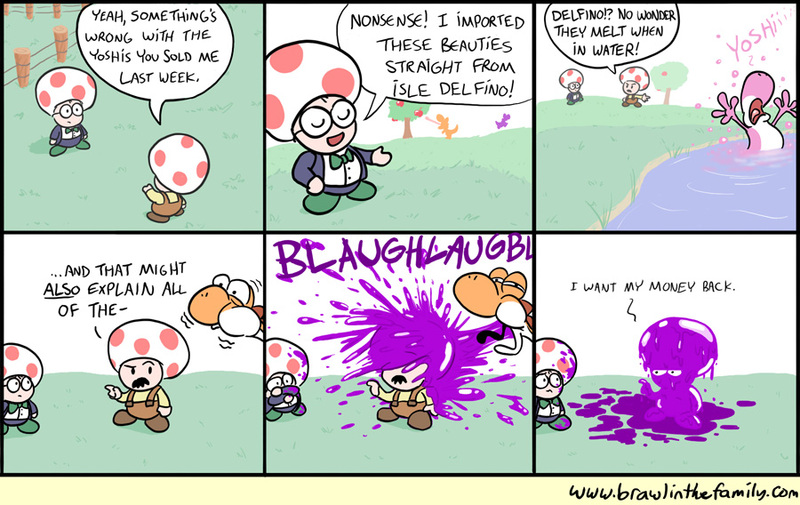 If Yoshi could have turned into an Ent, that would have been cool. Yoshi’s New Island has Whirly Gates instead of the bubbles, but they work in basically the same way. The helicopter and submarine return, while the car is replaced by a mine car (shades of Donkey Kong Country here), and the bobsled works like the skis. There’s also a hot-air balloon form that floats upward, and a jackhammer that can smash blocks. And in Yoshi’s Woolly World, our old friend can turn into an umbrella or a mole, or grow a tail like a mermaid. 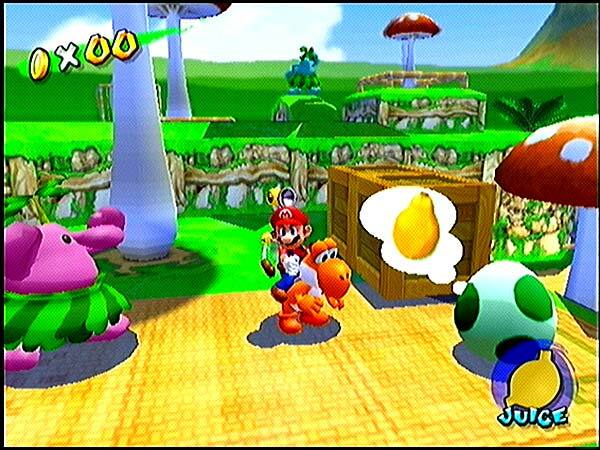 Super Mario Galaxy 2 also makes Yoshi able to transform, only here there are several different items that create these changes. Eating a pepper will give Yoshi the ability to run really quickly, even on water or up slopes. A Bulb Berry lets him (and hence the player) see secret passages. 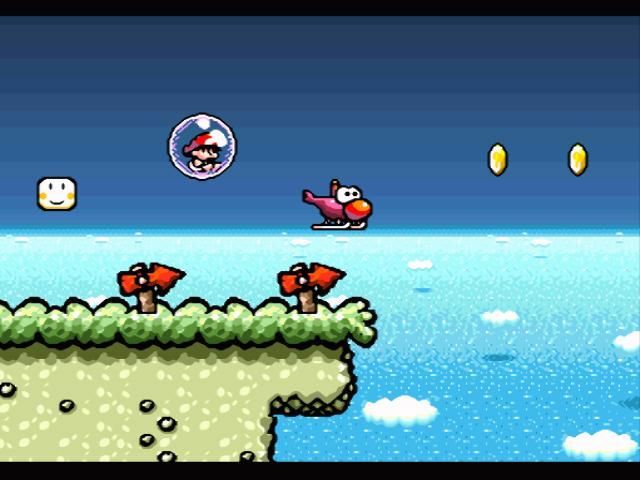 And a Blimp Fruit allows him to float upwards, sort of like that annoying Power Balloon in SMW. All of these effects have time limits, and turn the normally green Yoshi to a different color. They basically parallel the Yoshi colors from SMW, although Dash Yoshi looks more orange than red. New Super Mario Bros. U does something similar with baby Yoshis, with blue ones blowing bubbles that can trap enemies, magenta ones inflating and floating like balloons, and yellow ones lighting the way and stunning foes. From what I’ve read, these baby Yoshis never grow up. 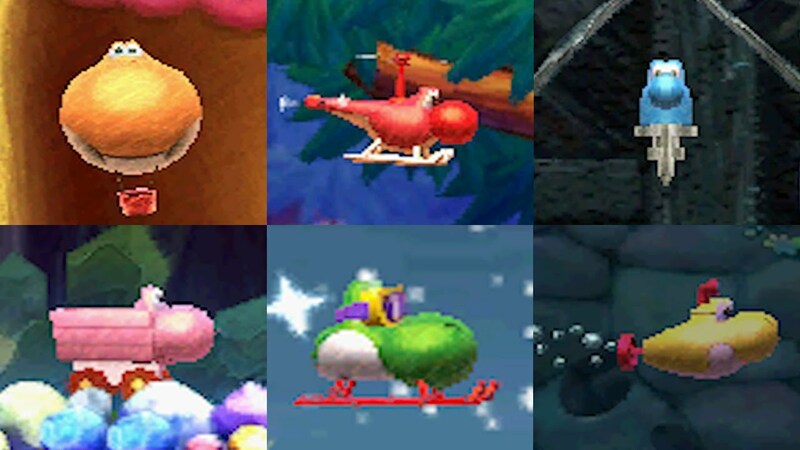 So there’s a general idea that Yoshi colors change depending on what they eat, and that these colors often reflect their special abilities, but there’s no real consistency to the details. This entry was posted in Magic, Mario, Video Games and tagged blimp fruit, bulb berries, dash peppers, morph bubbles, new super mario bros. u, power-ups, super mario galaxy 2, super mario sunshine, super mario world, whirly gates, yoshi, yoshi's island, yoshi's new island, yoshi's woolly world. Bookmark the permalink.